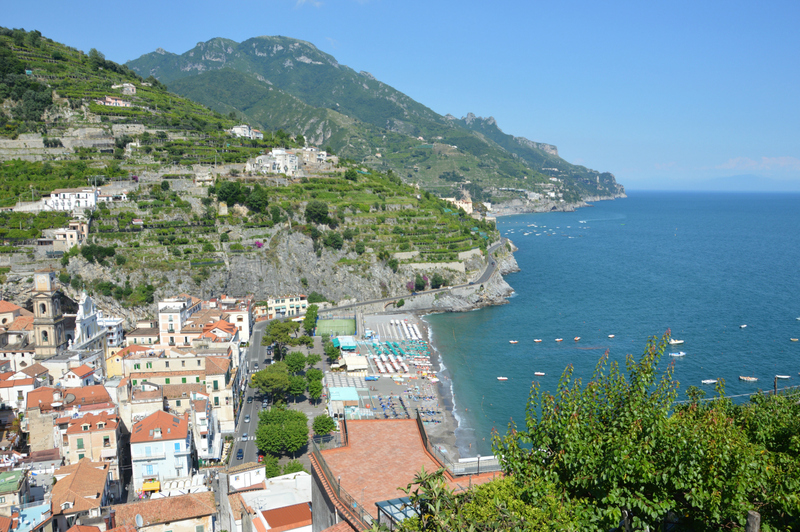 Get Around the Amalfi Coast with Ferry Service to Minori, Maiori & Cetara! 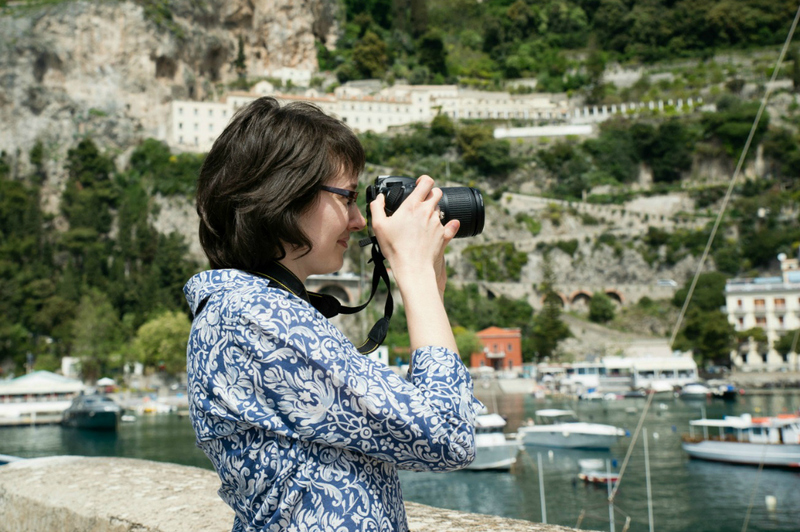 For ease of bus and ferry transportation connections, I often recommend travelers stay in Amalfi while visiting the Amalfi Coast. 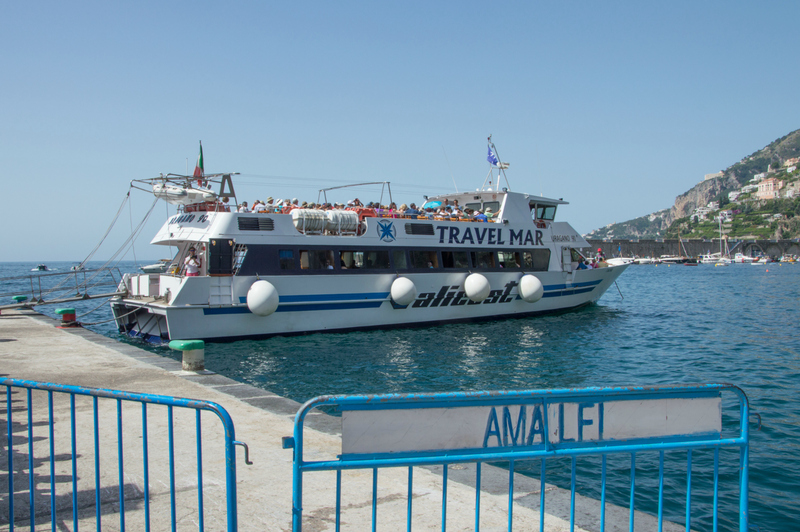 However, thanks to the ferry service Travelmar started running last year connecting Maiori, Minori and Cetara with the ferry line between Amalfi and Salerno, it’s now easier than ever to get around the Amalfi Coast! My favorite way to travel between towns on the Amalfi Coast is on the ferry, which you can read more about here. If you’re planning on staying in Minori, Maiori or Cetara—or would like to visit these towns during your stay—it’s now easy and scenic to do so by ferry. I really love Cetara and Minori – they’re both smaller towns and are usually a bit less crowded during busy season. Cetara has an old world fishing village charm, with its picturesque beach and watchtower. There are some excellent restaurants just a few steps from the beach where you can try dishes made with the local garum – an anchovy sauce made since ancient Roman times in Cetara. While in Minori you can explore the winding streets and visit the Villa Romana. Maiori is geographically one of the largest towns on the Amalfi Coast, and it has long seafront, more shopping and is often a bit more lively in the evenings. 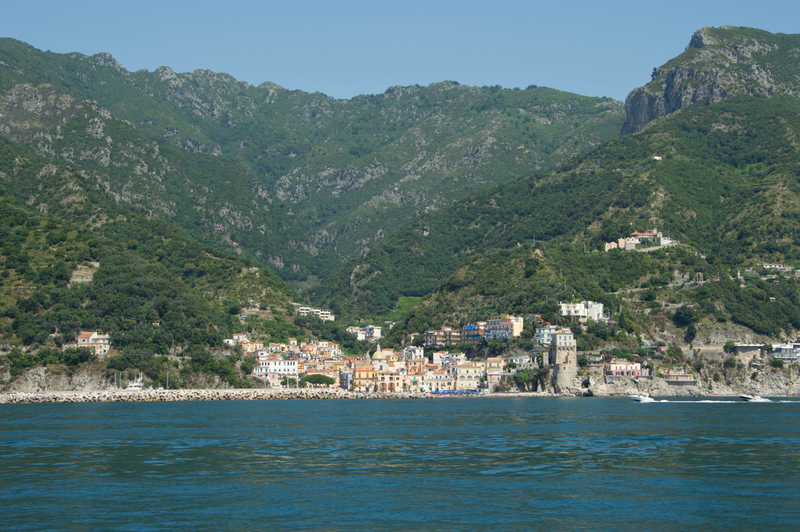 With the Travelmar ferry service to Minori, Maiori and Cetara, you can easily hop between towns along the coast that in the past have only been accessible by bus if you’re traveling by public transport on the coast – highly recommended! And thankfully there are quite a few connections daily, which makes it very convenient. Check out the Travelmar schedule to find out more.